Having been started in 2010 by three college students, YoYoInk is a company that has maintained its identity in the eight years that it’s been around. This identity first found its roots in the dependency that the owners had on printer ink during their college years. They found that they went through ink at a rapid rate and that it was often very expensive to replace their empty cartridges. 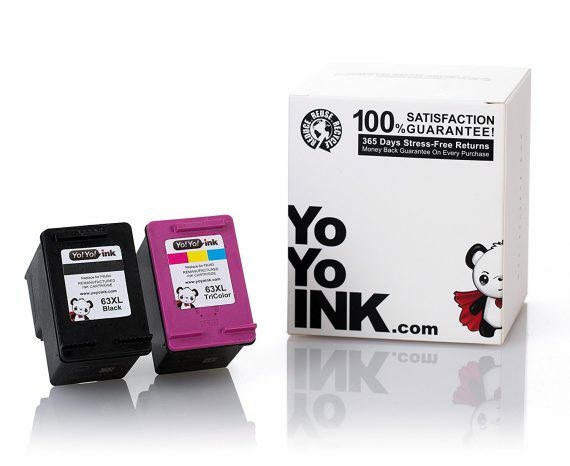 As a result, YoYoInk was founded, with the intention to sell high quality remanufactured and compatible ink, albeit at an affordable price. Therefore, products such as remanufactured HP 63 xl ink can be relied upon, without breaking the bank. The three core values that help uphold YoYoInk’s unique identity include business, fun, and community. One thing that makes YoYoInk’s unique culture even more so, is the fact that all three of its core values mutually affect one another. However, being that business is explicitly required in order to turn a profit and sustain the life of the company, it must be considered the most important. In the simplest terms, sales of products such as an HP 63 ink cartridge, are what fuels the business. With that being said, the business of sales cannot be done effectively without passion for the business itself. This passion has been passed on by the owners, right on through the rest of the company. YoYoInk truly has a passion for ink and a passion for providing ink to all of those that need it. With business and fun being discussed, that leaves community as the third and final core value of the company. Community is vitally important to YoYoInk, because community refers to all of the people that engage with YoYoInk products. Without community, there simply wouldn’t be anyone to purchase HP printer ink 63. As a result, engaging with this community and keeping them happy is essential to everything that YoYoInk does. Therefore, Super Panda has been chosen as the fun and light-hearted way that the company engages with its community of customers. This engagement can be seen in advertisements, email blasts, and even on the company website. For example, the Super Panda Warranty promises the community a 2-year, 100% satisfaction guarantee, for all products.